Evoland: A Nostalgic Trip Down Memory Lane. It really is quite staggering to see how far games have come since I first started playing them nearly 3 decades ago. Even more surprising is how each style of game still has a place in the market today, even those that forego all modern trimmings in favour of recreating those early experiences. Last year saw a bevy of such titles cross my path and I was really quite surprised just how enjoyable revisiting that period of gaming could be. 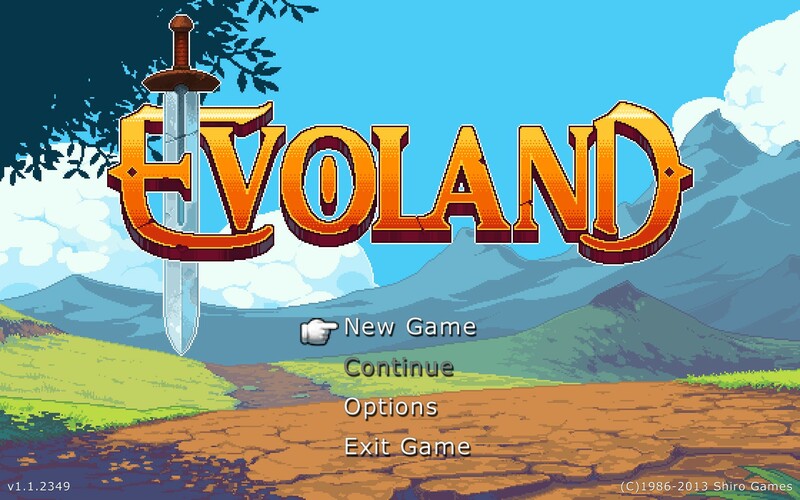 When I first read about Evoland it seemed like an intriguing idea as it would take you through the history of adventure games whilst also telling its own story. Evoland starts out as a classic Legend of Zelda clone, all the way down to the pixely graphics and limited colour pallette. However as you move around and start finding chests of loot you’re not greeted by additional items to help you on your journey. No instead you will typically get an upgrade to your game experience like the addition of music, better colours and, my personal favourite, extra dimensions. These all build upon each other so as you progress through Evoland it becomes an ever increasingly varied game, one that aptly captures the essence of nearly all adventure games that have come before it. Considering that Evoland’s primary goal is to take you through the history of adventure games the art style varies wildly from flat, 2D pixel art right up to full 3D environments that are reminiscent of titles like The Longest Journey. The pixelart is quite good, especially after a couple pallette upgrades, but the 3D feels incredibly rudimentary by comparison. It’s somewhat in line with the rest of the game as nothing about Evoland is terribly complicated so it all kind of fits together, at least enough to carry the overall thrust of the game forward. In the beginning Evoland is your run of the mill, top down 2D adventure game complete with enemies that run around randomly and you equipped with only a sword with which to dispatch them. 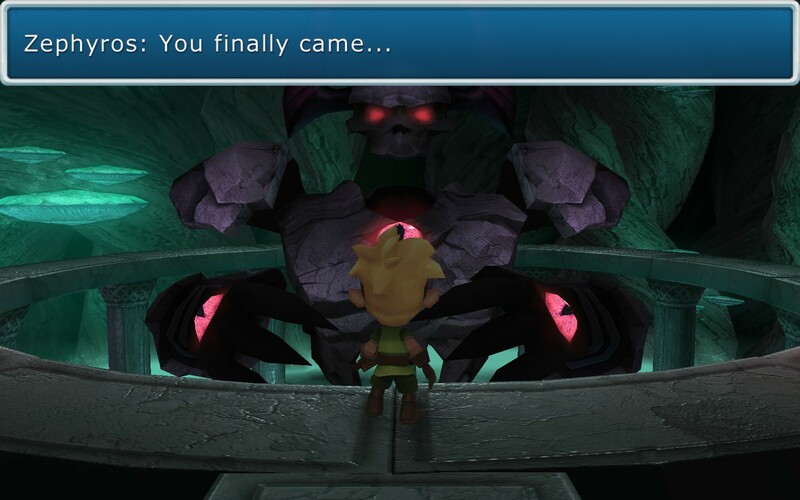 It plays exactly like the old Zelda games as well as you’re left to run around the environment looking for the next puzzle that’s blocking your progression. You can also, if you’re so inclined, explore even further to find all the collectibles that are scattered around the map although there’s little reason to do so outside of wanting to complete all the achievements. The more you play Evoland the complex and nuanced it becomes, something you’ll be acutely aware of because it’ll tell you every time you unlock another game mechanic with an alert plastered across the bottom of the screen. 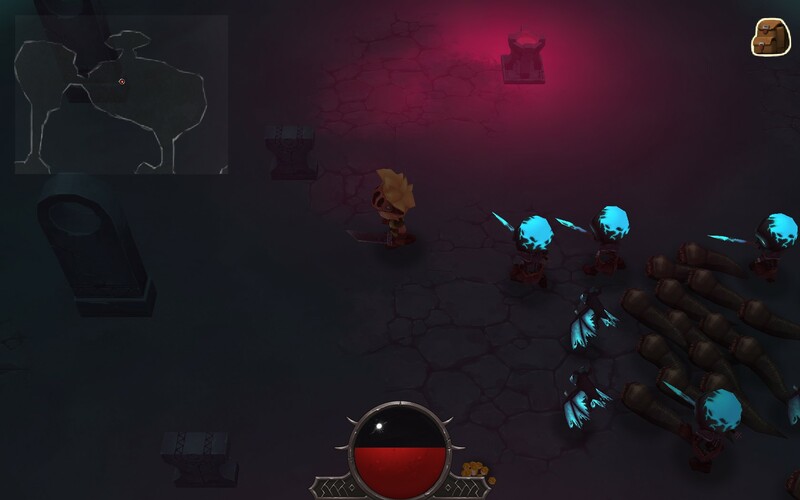 Some of them have obvious and immediate impacts on the way the game plays, like the introduction of a world map which introduces random turn based combat encounters ala Final Fantasy, and others are more subtle like the “Something happened somewhere” alert that indicates you triggered an off screen event. Initially the introduction of new elements is quite fun as it’s like a whole new game has been opened up for you. However due to the rudimentary nature of Evoland’s many different aspects they quickly start to descend into tedium. The random turn based encounters are probably the best example of this as you can’t walk for more than 10 seconds without one of them occurring. 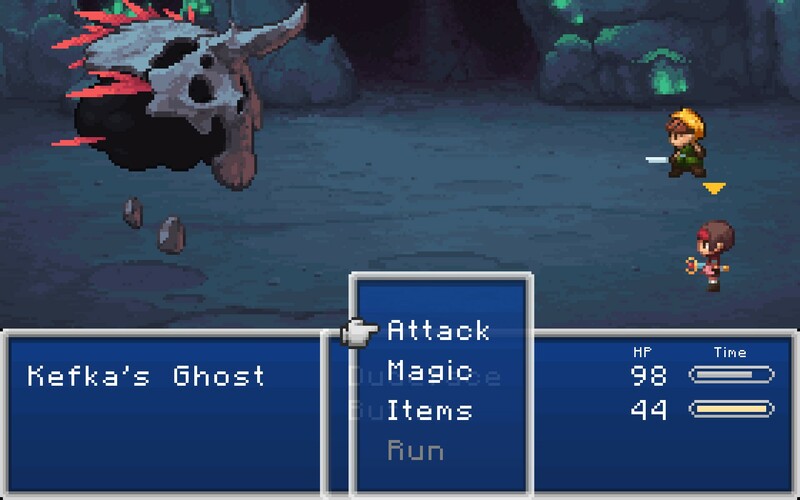 After a while these don’t take too long to resolve but the lack of variety in these encounters means that after the 3rd or 4th fight you’ve seen all the enemies Evoland has to offer and you’re essentially just grinding away XP and glis (a nod to Final Fantasy’s Gil system) which only has a limited amount of utility. Indeed whilst Evoland is a cohesive game on the surface the actual mechanics of it aren’t exactly uniform across every new iteration. Most dungeons have been designed with a specific idea in mind and whilst some of the abilities will transfer across (like the upgraded combo sword attack) most of them won’t. So whilst one dungeon might give you a health orb rather than the 3 hearts system you’ll likely find that once you go anywhere else the health system du jour is back again. They also all seem to have separate internal values as well as half health in the turn based combat system doesn’t seem to translate to 1.5 hearts in the dungeon system. Realistically Evoland is more like 4 distinct games that are loosely tied together by common elements. Viewed like this I’m more inclined to overlook the faults of them not completely interacting with each other. Indeed since the overall thrust of the game is more to take you through the evolution of adventure games rather than provide an in depth experience in each successive iteration of them I’d be missing the point if I judged it on the merits of the individual section’s gameplay. I guess what I’m getting at is if you’re looking for a solid gameplay experience you’re likely to come up short with Evoland, but that’s not the reason you’d play it. There is some semblance of a story which really only sees development during the last couple sections. It might have been because I named my characters Dudeface, Butts and Mouman respectively but I didn’t feel any attachment to them nor any real drive to move the story forward apart from the desire to see which game mechanic would be unlocked next. The final boss battle was pretty cool though with the combination of music and larger than life boss aptly capturing the essence of those same encounters in games of yore. 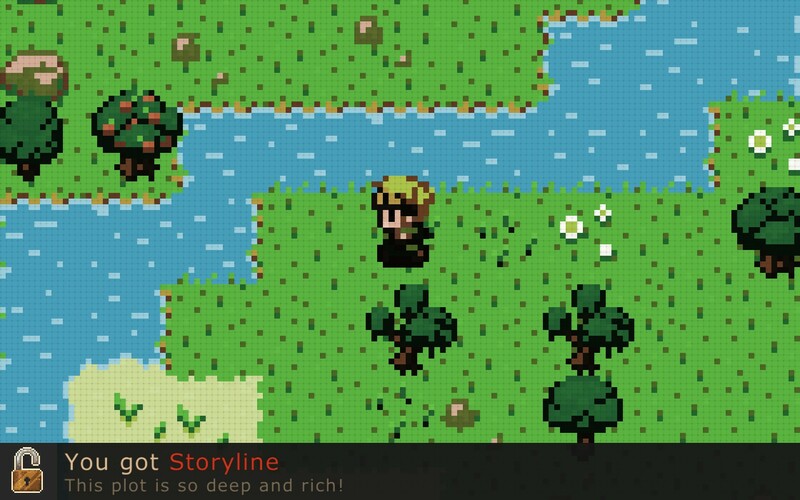 Evoland serves as a great history book, detailing the many transitions that adventure games have undergone during the years. As a game it’s nothing spectacular but the essence of each era of adventure games is captured within each upgrade of the Evoland’s mechanics. There’s a very specific audience in mind for Evoland and it’s for people like me who grew up on all the titles that inspired it. So if you find yourself pining for the golden age of gaming or you’d just like take a trip down memory lane then Evoland is the game for you. Evoland is available on PC right now for $9.99. Total game time was approximately 2 hours with ~83% completion and 34% of the achievements unlocked.